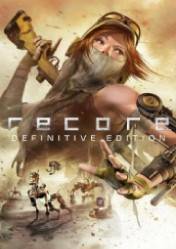 ReCore was a game that appeared on the Microsoft console a few years ago, and now comes the definitive new edition for PC through the platform and games Steam. In ReCore: Definitive Edition we can enjoy a new "Obsidian Eye" adventure in which we will play one of the last remaining humans, with the ability to use robots for their own purposes. We will fight against the ancestral enemies, who plan their revenge against Joule and against all humanity. All the action takes place on a distant and strange planet known as "Faraway Eden," a dangerous world controlled by robotic enemies bent on destroying every trace of human civilization. Our character will have to make all kinds of alliances with brave "Nucleobots", or autonomous robots, each of which has unique abilities and powers that we must use to progress in this incredible adventure. There are no comments yet about ReCore: Definitive Edition. You can be the first one!